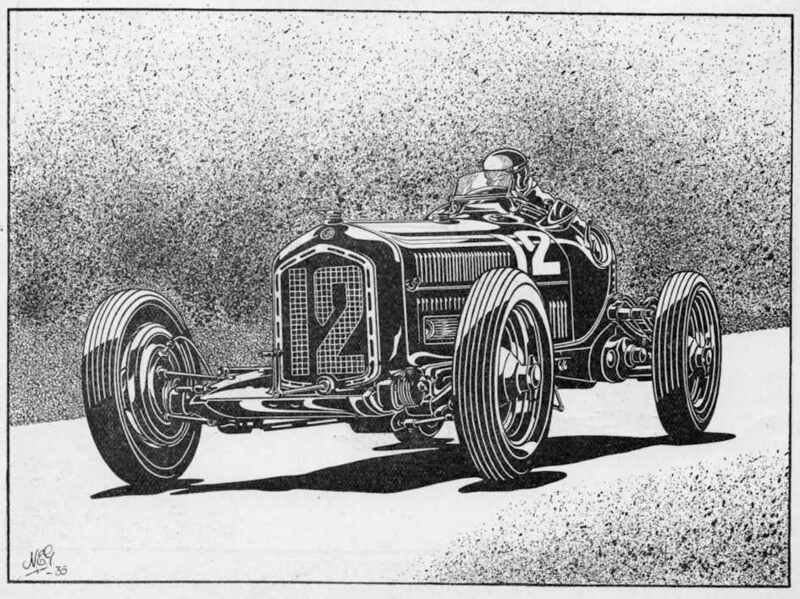 Winner of a drawing competition in Speed magazine September 1935. Contributed to other journals in later life. Staff artist with "The Light Car" in the late 1930's. 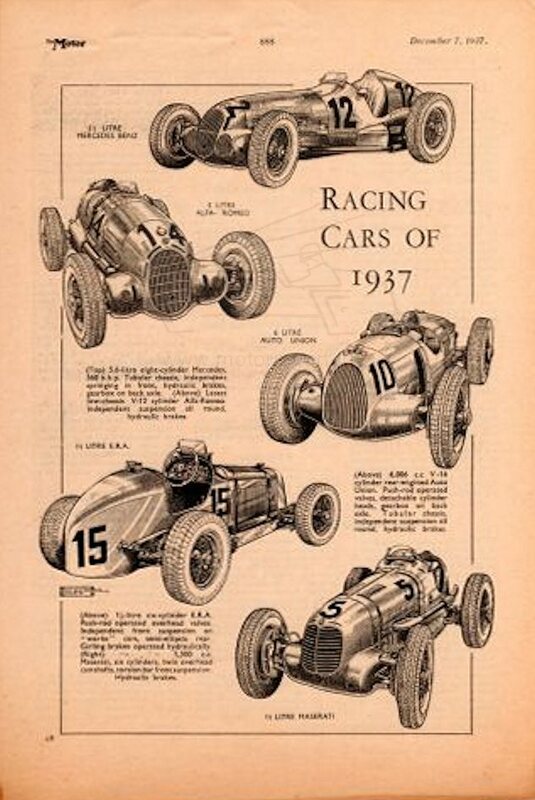 Did advertising illustrations for Allard Cars in 1938. 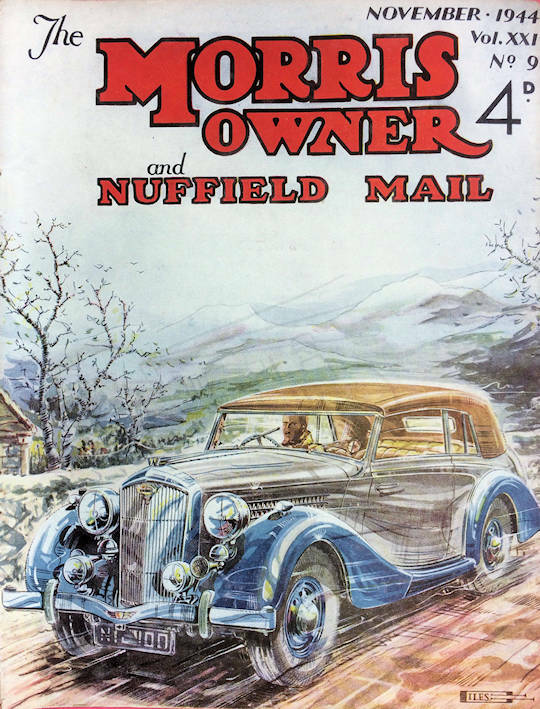 See The Light Car magazine 18th November 1938 for an attributed sketch. 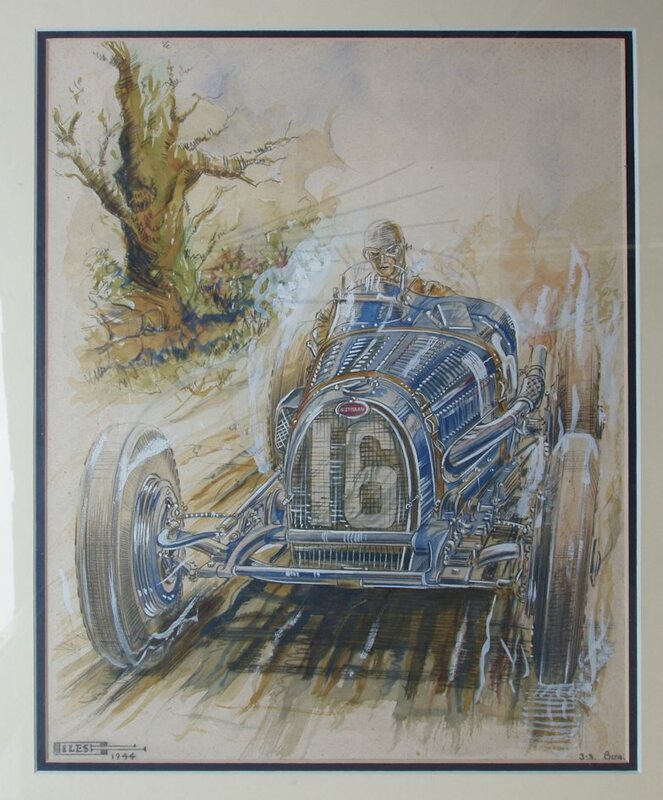 Watercolour of a Bugatti T59 dated 1944 in Christie's sale July 2000. Listed as a Temple Press artist in the exhibition at the Rembrandt Rooms, London 5th October 1941. Has a very distinctive signature with ‘ILES’ inside the ‘G’. 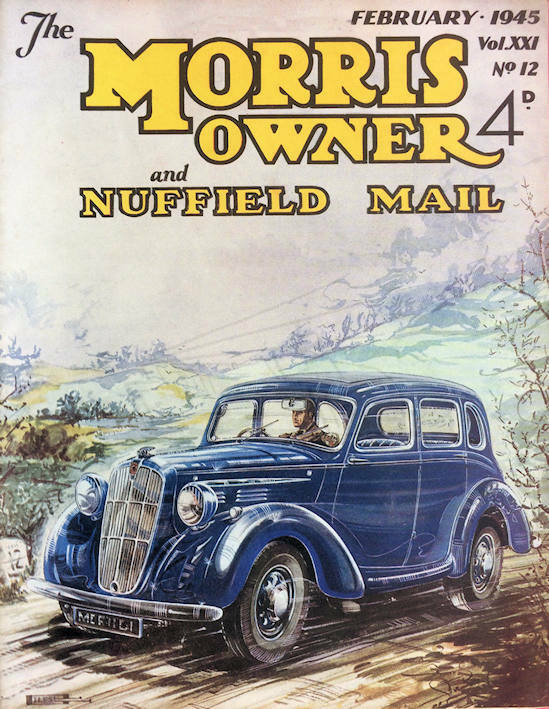 Also worked for The Morris Owner magazine in 1944/45 producing front cover designs. Two interesting works have recently surfaced in Australia, albeit purchased in the UK in the late 1970s. They are images of Seaman's Delage and a Bentley. They are signed with a different signature to the usual ILES inside the G. There is considerable detail on the reverse such as home address and printing details. It would appear that they were produced for publication but no details are available. Information about them would be appreciated. Winning competition entry of 1935 aged 18 years. 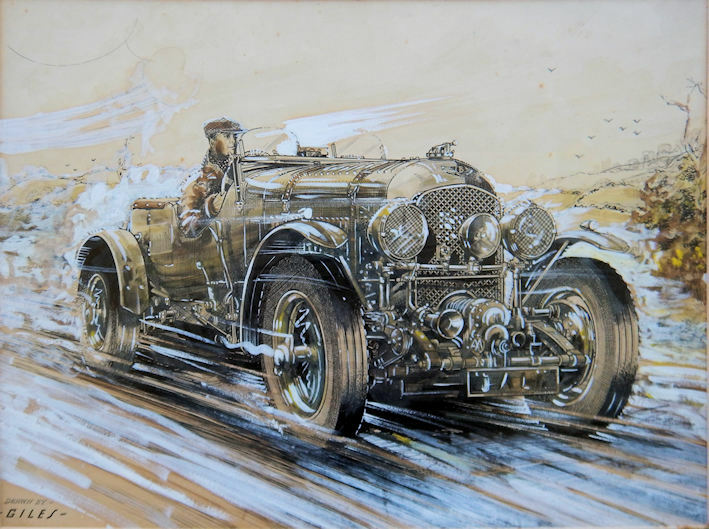 Richard Seaman driving a Delage. Image courtesy Peter Whitaker. 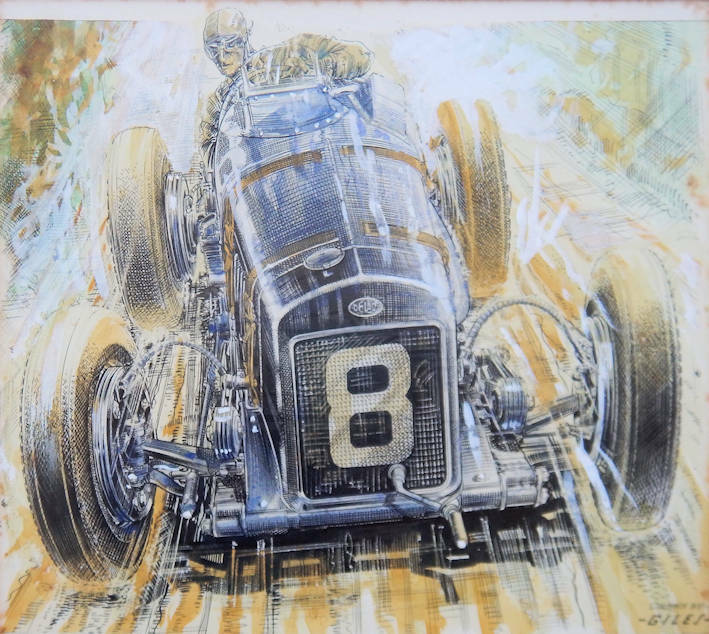 Bentley 4.5 Litre Le Mans. Image courtesy Peter Whitaker. 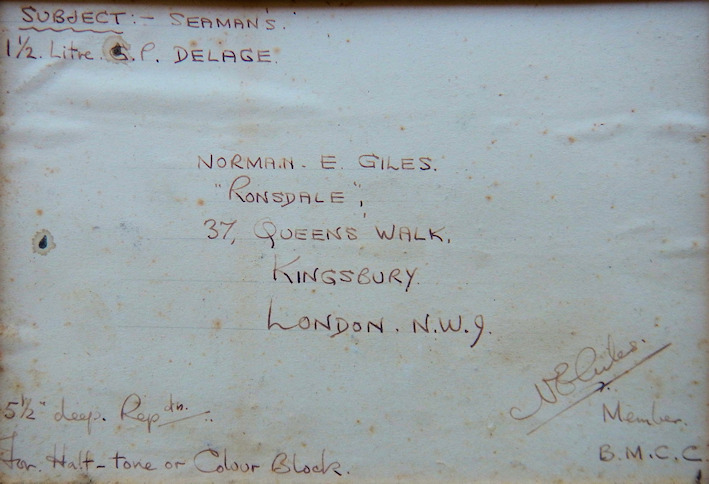 Reverse of Seaman Delage art. Image courtesy Peter Whitaker. Detail of Drawn by GILES signature. Image courtesy Peter Whitaker.